ACT NOW & SAVE MONEY. Our Professional, Qualified Inspectors have inspected 1,000s of properties over the years. We are experienced in solving structural problems with domestic and commercial properties right across Melbourne. 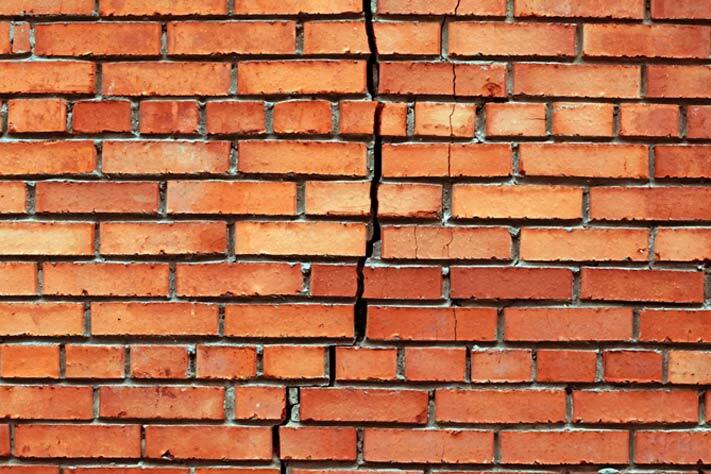 In most cases cracks in brickwork can be easily rectified, both quickly and cost effectively. Left too long and it quickly turns into a very expensive problem to fix. At Bullas Building Consultants, we not only find the problem but help to guide you through the entire repair process. Unlike other Building Inspectors who simply report on the problem and leave you to your own devices. We can provide a full written cost analysis of all work that needs to be carried out and the possible duration of the project. Cause – We do not just give you a solution. We let you know why it happened in the first place. This way the cause can rectified along with the resulting damage. Emergency Solution – If required we can provide you with an emergency solution to the problem so the possible damage is minimalised and an appropriate solution can be sourced and actioned. Solution – With years of experience and a unsurpassed working knowledge of the Building Industry, we find the best possible Trade and/or Services to fix your problem. Quickly !